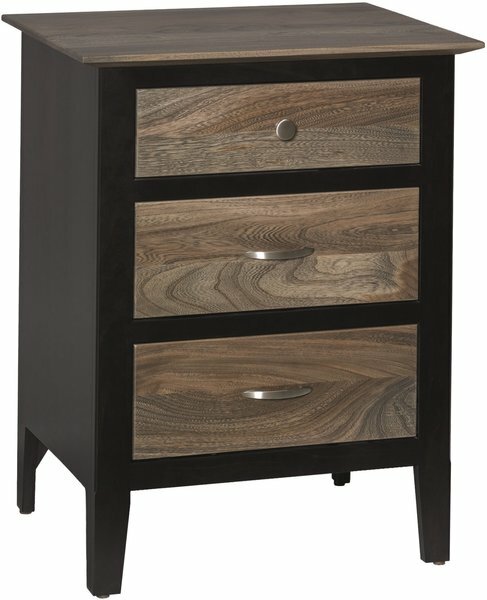 Get the perfect complement for your bed with our Amish Berkeley Three Drawer Nightstand. Keep your TV remotes, phone chargers, books, and whatever else you may have in your bedroom in the three spacious drawers. This solid wood nightstand is made in the hardwood of your choice, there are eight different solid woods for you to choose from. Once your wood is selected, select a finish color that goes well with the rest of your bedroom suite.